With an 'ukulele in hand and a deep desire to make an impact in our world for the better, singer song writer Gabe Oliver is a visionary for the future, delivering powerful lyrics with a message of hope and change through each one of his songs. In his earlier years, Oliver started performing as a percussionist in the middle school band playing anything from tympani to a full drum set. It was then that he started to expand his instrumental knowledge and teach himself guitar while experimenting with singing and song writing. This led to his acceptance into the varsity choir and drama team where he was then cast in musicals throughout high school. He then became the front man and song writer for his first band while still in high school, playing numerous live shows and being featured on a local radio station in his home town in Colorado. After graduating high school early to live on his own, Oliver parted ways with his band and packed his life in a small back pack to drive a motorcycle cross country to California. It was there that he started to create solo projects as a musician and play venues such as the House of Blues in San Diego. While taking a trip to San Francisco with an old friend Oliver was involved in a near fatal accident being hit by a semi truck on the freeway and flipped over nine times leaving them upside down in a ditch late at night. Luckily, the injuries were not fatal and recovery was quick. This was a turning point in Oliver's life. Shortly after the accident Oliver started gaining an over-appreciation for life and started to make some drastic life changes for the better. He started to live healthier eventually eating with a mostly raw vegan lifestyle and excercising daily. He maintains this lifestyle to this day and is passionate about inspiring others to better their lives as well. The California dreaming had come to an end as the young singer song writer decided to leave his music behind to embark on a spiritual journey into the unknown. The destination was originally set for Florida however, new opportunities arose to fly west to Maui. Having never been to Hawaii before, Oliver packed everything once again in a small backpack with a one way ticket to Maui. It was in Maui that Oliver found his place of peace, feeling more at home then ever before and decided to tap back into the music secured deep with in his heart. He recieved his first 'ukulele in May 2015 and fell in love with the sound and portability of the instrument, especially as a minimalist transient with creativity laying dormant in his soul for so long. The sound you hear today is the organic combination of Gabe Oliver's musical passion and deep desire to create a better world for the future, rooting from many life experiences that have taught and shaped the young musician to this day. Gabe Oliver is a musical artist residing in Lahaina, HI, who has just released his debut album digital-only to ensure plastic waste from CD duplication does not end up in the ocean and environment. 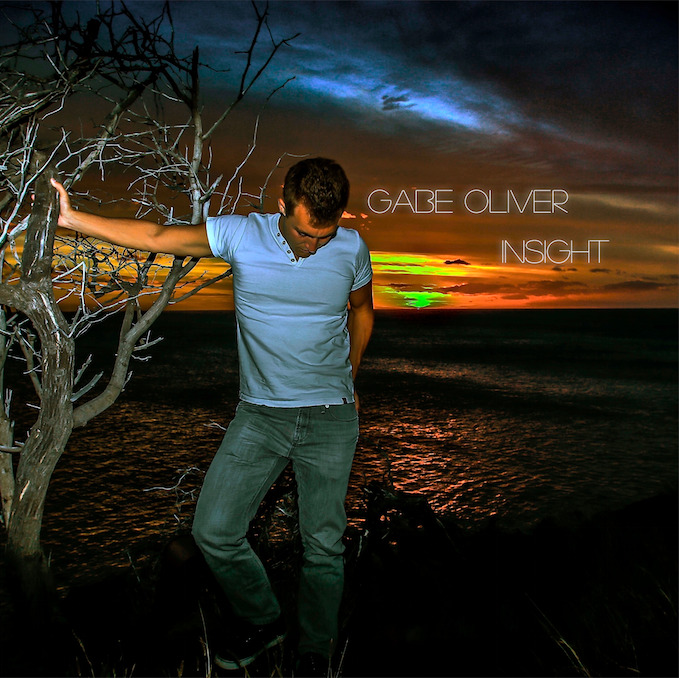 Maui singer/songwriter Gabe Oliver’s new album, Insight, has just been released and is now available for download via his official website at http://www.GabeOliver.com or via iTunes, Google Play, Amazon, Spotify, CD Baby and all major music distribution sites. Oliver is passionate about spreading a positive message of hope, change and unity for the world through his music and lyrics. Oliver has decided to take an independent and sustainable approach to the release. Instead of printing physical CDs, Insight will only be available via download online. “I was doing some research on CD duplication, its effects on the environment once these CDs are disposed of and the impact of the materials used to make the CDs, which lead me to this decision,” said Oliver. A lot of new opportunities are arising for the young singer/songwriter. Oliver is now sponsored by Maika’i Woods and Imua ‘ukulele, who have assisted with his journey by providing a new, custom-built Imua ‘ukulele for him to continue playing and spreading his message of hope, change and unity for the world, starting in Maui, Hawaii. You can read more information about Gabe Oliver's vision for music and the Gabe Oliver Music Project via his official website: http://www.GabeOliver.com.